No Contest Clauses discourage will contests by disinheriting the beneficiary who contests the terms of the will. No contest clauses are also called In Terrorem. In Terrorem is Latin for "in order to frighten." A No Contest Clause can be used to prevent inheritance beneficiaries from contesting the will. A No Contest Clause is an addition to a will, trust or estate plan that states if a beneficiary files a contest they will either be completely disinherited or receive a reduced inheritance. No Contest Clauses are designed to discourage disputes between beneficiaries and heirs. A No Contest Clause will not prevent a will contest. A No Contest Clause creates a possible consequence for filing a will dispute. Inheritance Disputes can still be filed by beneficiaries on the basis of lack of capacity, Undue Influence, fraud and mistakes. If a beneficiary successful contest the will, usually the no contest clause penalty is not enforced. If the dispute is unsuccessful, the disputing beneficiary is in jeopardy of having the clause enforced. That beneficiary has the option of arguing that the contest action contained “probable cause.” If it is found that beneficiary had probable cause the beneficiary may not be disinherited per the No Contest Clause. In January 2010 California courts significantly changed the courts position on No Contest Clauses. If you are drafting a will and want to discourage the possibly of will contests, a No Contest Clause can be a valuable option. However, there are limitations and considerations that must be adhered to for the no contest clause to be effective. A Lawyer can assist you in using a No Contest Clause properly to prevent disputes between your family members and beneficiary after you pass.Ãƒâ€š Keep in mind the most common disputes arise from distribution outside of immediate family, disinheriting any member of the immediate family, unequal distribution amount beneficiaries, recent changes and dramatic changes to a will. If you are a beneficiary and you feel strongly or have evidence that the Will should be contested a No Contest Clause does not prevent you from contesting. You should understand that if there is a No Contest Clause there is a possibility that you may lose your current benefits if you contest. However, justifications for a will contest like Testamentary Capacity, Undue Influence, Mistakes, Forgery and Fraud are still valid. Even with a No Contest Clause if a Will is established or change through fraud, distress or error you still successfully contest the will. Due to the risk of triggering the No Contest consequences hiring a experienced lawyer is highly recommended. 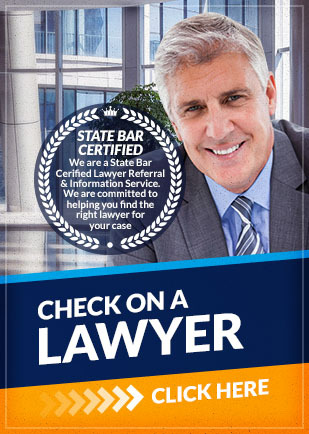 To find an attorney experienced in No Contest Clauses contact Attorney Search Network. We can help you find a Will Contest lawyer or an Estate Planning Lawyer who will help with your legal issue.